Experience the body wrap sensation! August/September2008 ALL WRAPPED UP”It’s early Saturday morning and afer a busy work week I am going to indulge myself with a body wrap….After completing an extensive medical checklist, I am taken to a room where my Formostar body wrap will take place. However, I will not be getting semi-naked and being smothered in any seaweed today, but will be experiencing the amazing effects of infrared technology – with all my clothes on! When you get a Formostar treatment you are wrapped in six silicone bands which are placed over your clothing…as I sipped my bottle of water with electrolytes I noticed that things started to get a little toasty and soon I was certainly working up a sweat. VERDICT – By the end I felt like I had run a marathon, and all while reading my book! 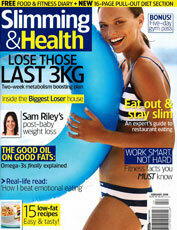 March 2008 – Freelance Writer, Emma Bradshaw…”After my first workout, friends commented that my eyes looked sparkly. But it was after the next session that the changes really kicked in. I sweated like a wrestler and felt tighter around the waist, hips and bum…It’s only been three sessions and I’ve nearly dropped a kilo!”THE VERDICT – It’s easy, cheap and it works. It’s not glamorous but it sure beats an houron the stair climber. I can’t speak for the durability of the results, but as a little person, I was impressed. February 2008″Lying down in a pool of your own sweat for 50 minutes may sound like torture, but when you consider you’re burning up to 5,020KJ (1,200 cal) a session, it might just be worth it…Formostar body wraps are taking the world by storm – they are already the top-selling body wrap system in the US and we predict similar results here.”THE VERDICT – The best news is that in around six to 10 sessions you can drop a dress size. May 2008Fat is 10 degrees cooler than the rest of your body, which is why it suffers from poor blood flow and is so hard to burn off. Formostar is a far infrared body wrap that heats these areas and increases blood flow and metabolism, helping burn off those extra kilos..
May 2008SOME LIKE IT HOTForget mud wraps and juice diets, the latest in detoxification is straight out of science fiction. Russh tried out Formostar, a 50 minute treatment. Our guinea pig got horizontal, while thick, rubbery pads were strapped to the arms, legs and middle…The pads heat up via infrared, raising the heartrate and sweating out the nasties…Afterwards, skin was softer and firmer. For best results, 10 treatments are recommended, followed by one per month for maintenance. THE VERDICT – It was more relaxing than unpleasant and our tester felt quite smug that 1200 calories had just been burned (the equivalent to a long, hard run) whilst remaining completely immobile. March 2008At 21 Janine was diagnosed with a form of inflammatory arthritis. Take 5 reported on Janine’s pain management story which was based on a program of massage and Formostar sessions.